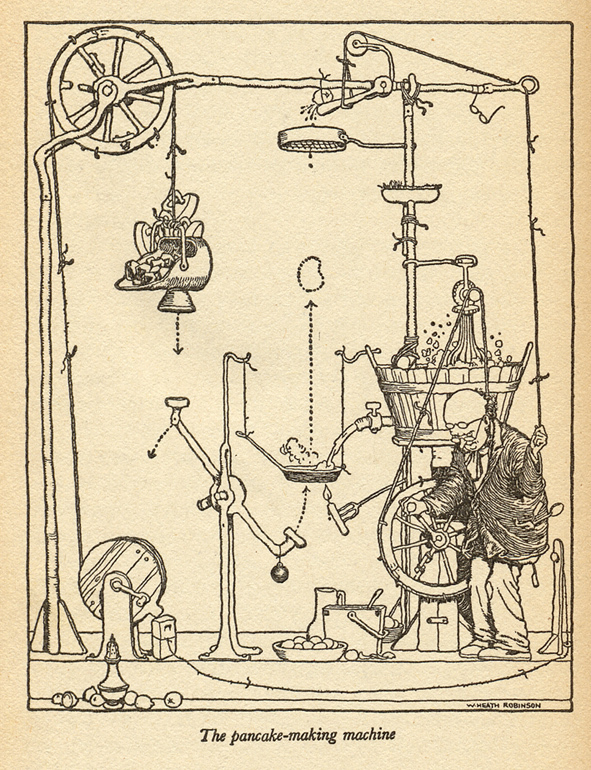 We find irresistible the drawings of eccentric machines by cartoonist and illustrator W.Heath Robinson, (1872 –1944), that have become part of common parlance for unnecessarily complex and implausible contraptions. We often use the phrase ‘Heath Robinson’ in relation to any of our temporary fixes using our ingenuity and whatever is to hand, – often string and tape, or unlikely cannibalisations. 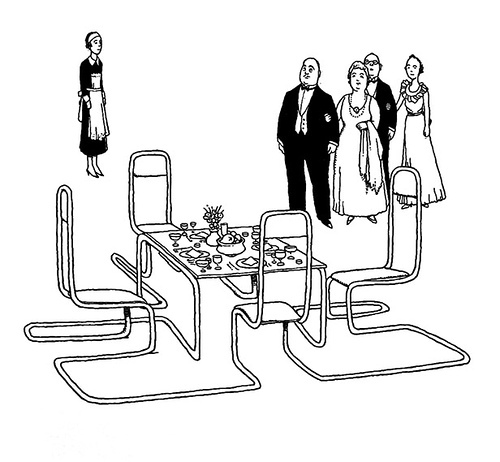 The typical Heath Robinson creation was of some machine intent on serious purposes while managing some aspect of an preposterously over-complicated construction of magnets, pulley wheels and conveyor belts, all linked and controlled by lengths of knotted string. Nothing in his creations was pristine, often patched or amateurishly repaired. These improbable, rickety machines are kept running only by incessant tinkering. 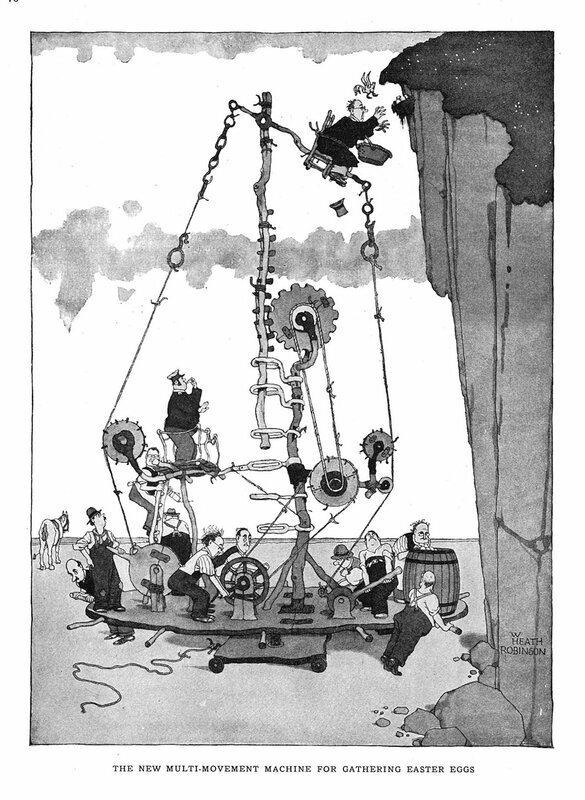 These ‘Heath-Robinson contraptions’, were essentially a caricature of the ‘age of the machine’, and the self-importance of some of the people caught up in the hyperbole of the era. The drawings were intentionally designed to deflate the pretention and pomposity of such characters by exaggerating their folly to the point of absurdity. If not perhaps directly relevant to contemporary culture, we believe that they continue to serve as an interesting commentary on our own overly complex cultural arrangements. The sardonic humour of the cartoons lies not in the strange machinery, but in the observation of people, illustrating the absurd lengths to which we go to achieve the most trivial of ends.